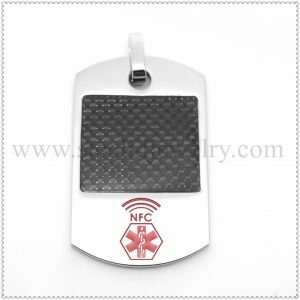 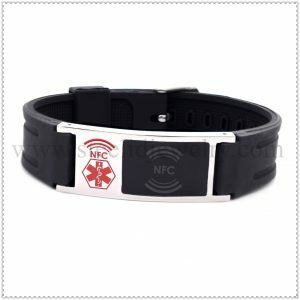 Width=14mm, with a 44mm long length ID plate– with NFC & logo and NFC label, can engrave on the back, 7.5-9″ Optional length. 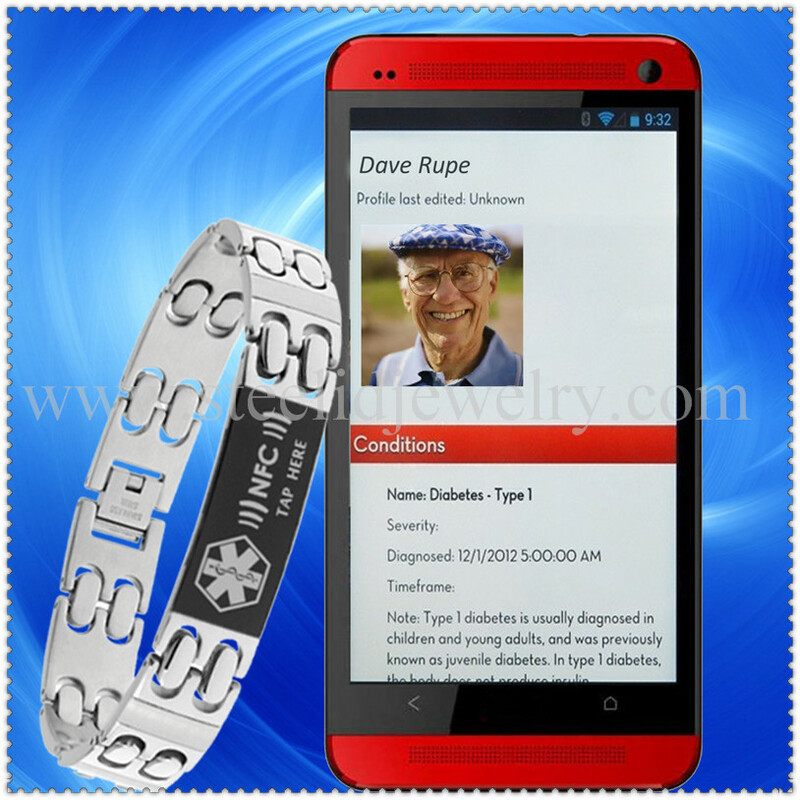 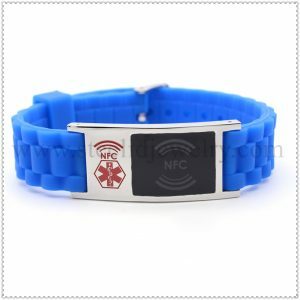 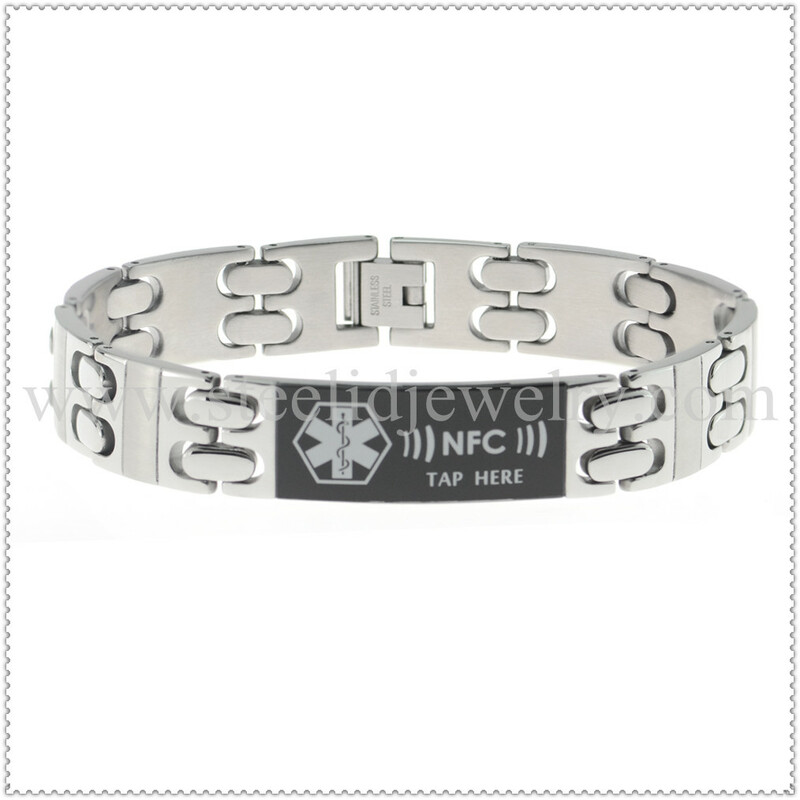 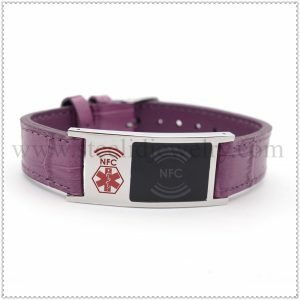 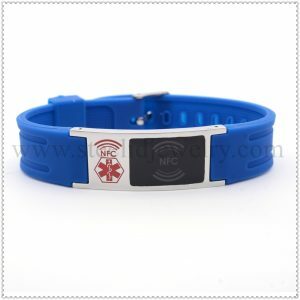 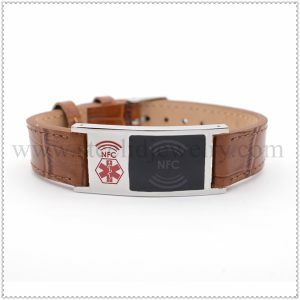 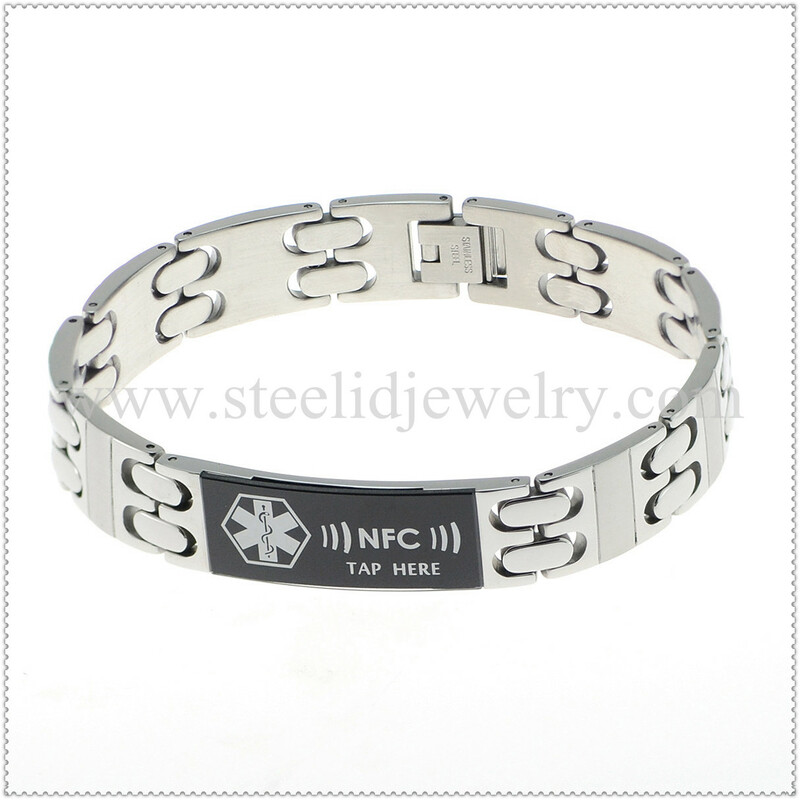 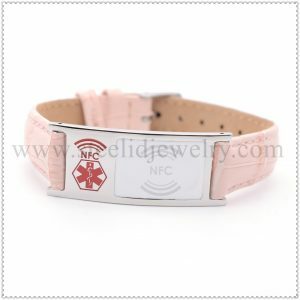 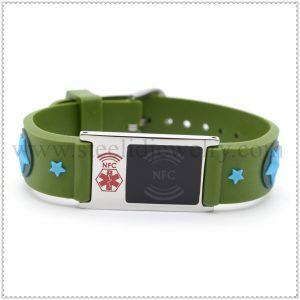 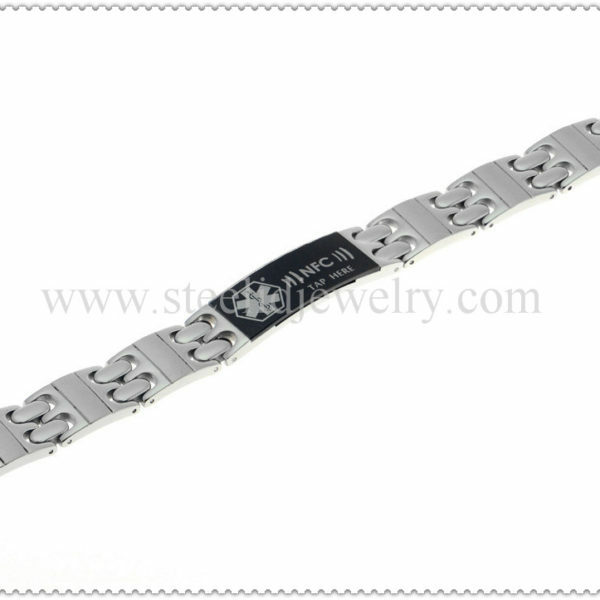 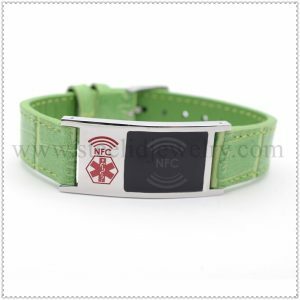 Stainless steel NFC bracelet ,Medical id bracelet with NFC Chip,In addition tradition record mode, and today we can also use NFC technology, achieve electronic storage, each NFC bracelet with an NFC chip have1024Byte(1 kb) storage space, you can achieve real-time short-distance transmission any information, which is a medical id bracelet landmark product. 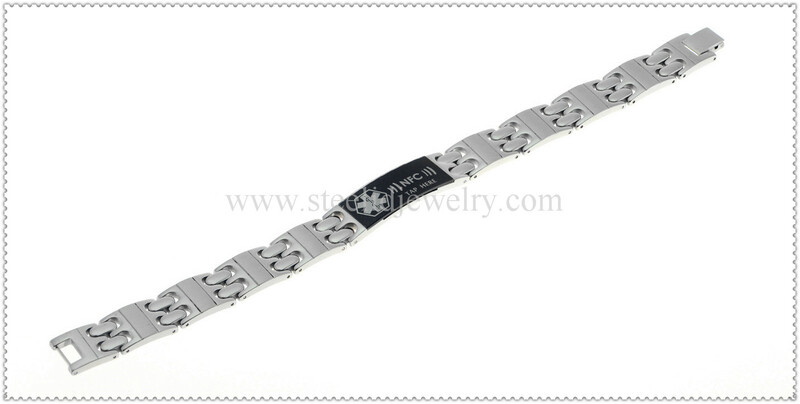 The bracelet have rose-gold, gold, silver, black color for choose.